We're looking for an American-timezone caster that can cast the matches on the 6th of April and co-cast on the 13th of April, if you are interested to cast for potentially up to 100 concurrent viewers (last time we got around ~80) refer to the contact information at the bottom of this post. The tournament will be played over 2 weekends, the 6th of April and the 13th of April. There will be 2 seperate regions that will play on the 6th of april. Depending on your region the start time is UTC 02:00 (For NA/Oceania) and UTC 20:00 (For EU/Russia). The times on the 13th of April will depend on the results on the 6th of April. The exact fixtures and match details for the 6th of April will be released one week before the 6th of April when we know exactly which teams will show up, the start time that is mentioned above will not change however. 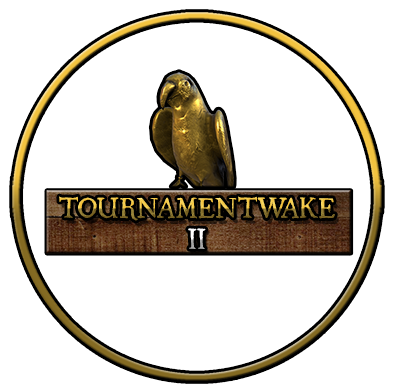 On the 6th of April the teams will play a round robin (everyone plays everyone once) to determine the bracket placements for the second weekend on the 13th of April. Other communities or groups of 14 players are welcome to sign up. Contact info can be found at the bottom of this post. We've also set up an individual signup! On the competitive discord https://discord.gg/S7cR8Aw . You'll simply need to go to the #individual-signup channel and post your information and you'll either get picked up by a team or form your own team if there's enough people!